My crystal sessions often encourage the person to move through different layers of consciousness, or what is often called Dream States. So I get asked about these different states. Rand Lee has one of the clearest explanations I’ve run across. Take a look here! Many people I encounter in my healing work need boundary repair and maintenance. Some with weak boundaries are too easily influenced by others. Some pick up as their own the feelings and thoughts of others. Some have weak immune systems, the immune system being the physical aspect of boundaries – “me” vs “not me”. Others with rigid boundaries may not be able to tune into others or to allow intimacy. Some flip back & forth between weak boundaries and rigid ones – from “come hither” to “go away”, with nothing in between. Some have energy cords from others invading their boundaries (see https://stonemusing.com/2014/05/14/releasing-the-cords-that-bind/ for more on this). Many healers and psychics have porous boundaries, myself included. That’s what lets us tune into other people and to merge our energy with theirs. Great for readings or healing work, but a pain for us if we can’t strengthen our boundaries for day to day life. I need adjustable boundaries so I can merge if appropriate and draw back into my own ego when appropriate. I like to think of my boundary as a flame around a candle. 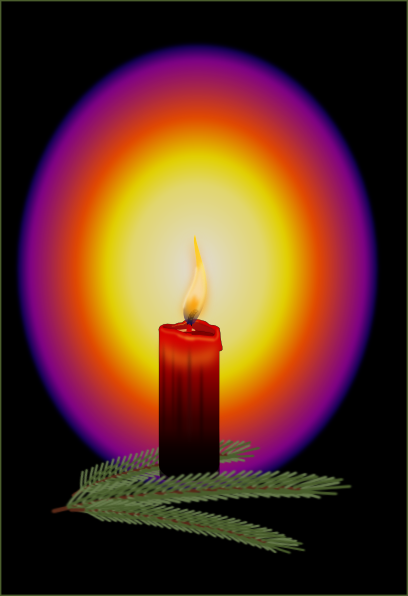 My energy radiates around me like the heat radiates from the flame of the candle. Around a flame there is bubble of heat. There’s an “boundary” at which I start feeling the heat. Similarly my energy – a blend of heat, electric impulses and heaven knows what – forms a bubble around me. I sense when someone crosses into that bubble and unconsciously they sense it as well. 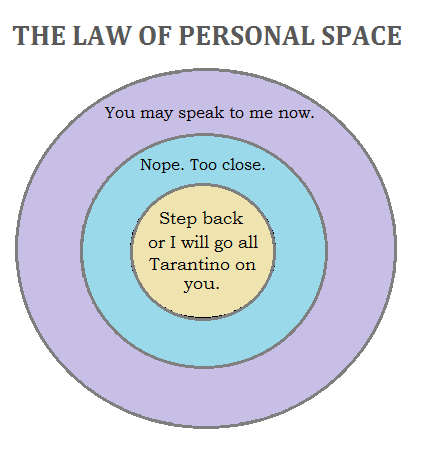 That bubble is the boundary of my personal space. There are a number of ways to adjust boundaries – grounding, visualizations, physical exercises, etc. Rather than going into those here, I want to share about an experience I had in which my boundaries got stronger simply from being around someone with good boundaries. Great boundaries after greeting all these & more? Wow! 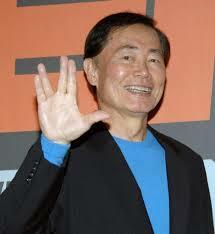 Several years ago I went to a convention to see a favorite actor. While waiting for my photo with him, I watched how he interacted his fans. He greeted everyone warmly – with hugs even! – though he had only about 20 seconds with each of us. Unlike some other actors, he didn’t pull energy from the fans (“Love me! Adore me!”). Nor did he push them away energetically (“Don’t look me in the eye!”). It was clear that he was simply himself and not at all any of his roles nor who I had imagined him to be. He was perfectly grounded and centered, with excellent boundaries. Impressive! I’d like boundaries like that! When it became time for my picture, he hugged me, and much to my surprise, I noticed that I immediately became more grounded and centered myself. More me. 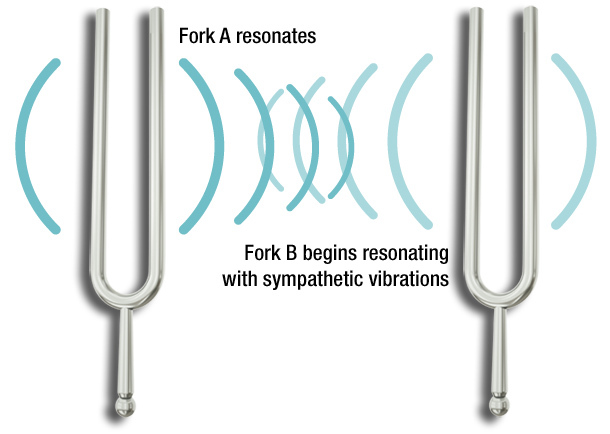 Have you heard how a tuning fork that’s vibrating can set up a vibration in another tuning fork at rest? The same things happens in electrical circuits – a wire with a current running through it can induce a current in a wire next to it. This actor had a strong enough presence, strong enough boundaries, that my boundaries could pick up his resonance, just from being near him. “Downloading a template of his boundaries” is my engineering-y way of saying it. This was mildly interesting – but months later it proved very useful indeed. I was doing some healing work on someone who had a lot of toxins and was swollen so badly that it was painful to walk. I started flushing a clogged meridian by holding two points and running energy between them. The energy moved and the pain decreased. But my hand started hurting – a sign that I was picking up the toxic energy, that my own boundaries were letting some of the toxicity. Not good! I grounded, feeling my feet connect to the floor. I envisioned myself surrounded with a protective screen, but still I felt the toxicity. Out of the blue, I remembered what it had been like to hug the actor at the convention. Wow! Just as had happened in person, my boundaries noticeably strengthened. From then on I could flush the meridians without taking on the toxic energy. The client left walking more easily and slept that night for the first time without pain. To this day, when I need to boost my boundaries, I remember that hug – and it happens. Go figure! This time of year, bashing politicians is the great American sport. We have been deluged in absurdities, tortured by robot-calls and threatened by the destruction of all we hold dear if we don’t send in our $5, again and again and again. I was listening to a TED talk, proposing that, with the wonders of the internet, we could do great things by having us all vote on bills – true democracy! Could this be the answer? No! Please, please no! Our system is not a true democracy – and I like it that way. 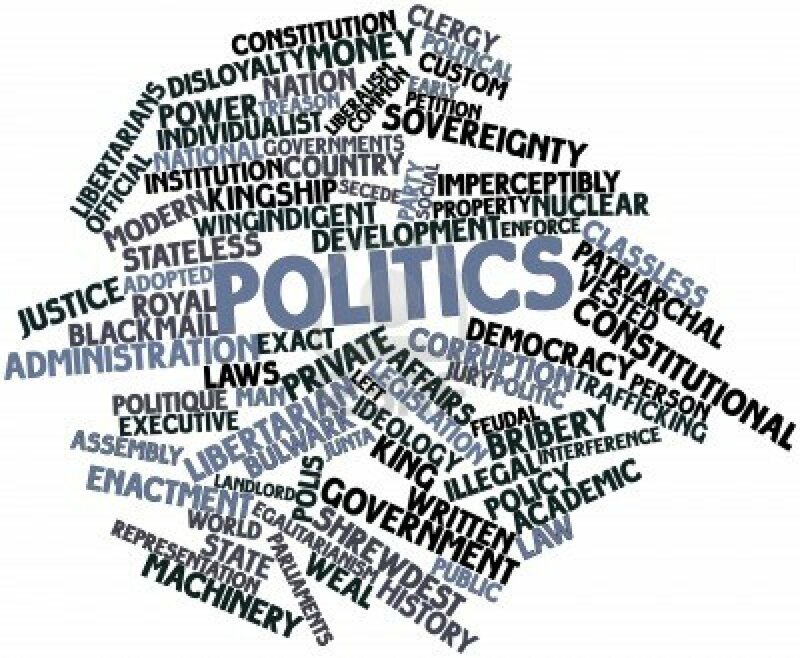 Have the general population vote on issues? Have you listened to the “general population” recently? I fear what we would get is rule by those that show up on public comment boards on the internet. The ones who call each other a**holes and can’t put together a coherent sentence. Yeah, I know a lot of people who comment intelligently and politely. But I fear the volume of the screamers will drown out those more reasonable. While working for state government over six years, I got an appreciation for what people in government -including politicians – cope with. They are constantly pulled at by people coming from all sorts of viewpoints. “Spend here! !” “Lower costs!” “Back what I want!” “Look the other way!” Good politicians have the skill to appear to listen to all of these, yet make a single decision. I do not have that skill. I would be stark raving mad if I had to plot a course though all those influences. 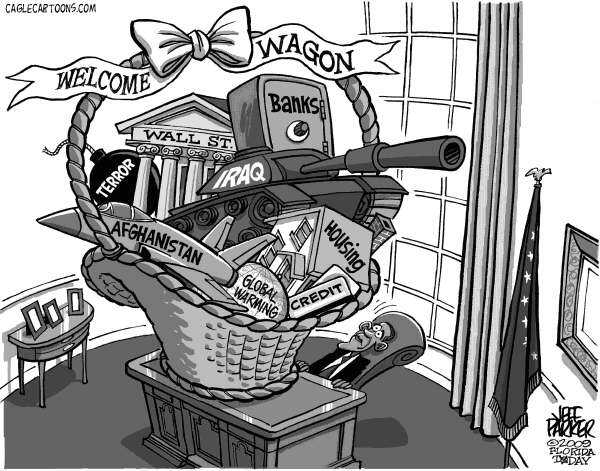 Thank god we have people – however much I may disagree with some – who are willing to be targets for all our hopes & angers! Thank god they have people on staff who read and study the options. I’m willing to pay for that. By the way, I was complaining to a poly sci grad from another country about how our system was a pendulum that swung back and forth – more civil rights to fewer, less favoring of corporations to more, etc. It makes it hard to see progress. She remarked, “You have swings of the pendulum; we have revolutions!” Gulp. 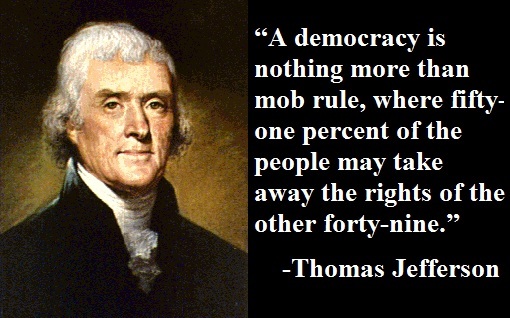 I guess our founding fathers knew what they were doing after all. A lot is changing rapidly in our world. It’s a challenge to stay centered in the midst of what can look like chaos. There are lovely visualizations that help – but when the chaos is strong, it’s hard to focus my mind. That’s when my friendly stones are wonderful helpers. Centering means to be in greater alignment with your soul line, your True Self. In our energy structure, a center line runs from above the head, through the spine, down through the legs. When I’m centered, this line feels in place. I can relax into it. When I’m not centered, I feel “off” – pulled one way or the other. I get tired more easily. I get judgmental and rigid. There are many things that can knock us off center: stress, disapproval, physical injury, fear mongering headlines, intense movies and more. I sometimes feel it as a shock that makes me feel like I’m bouncing off the walls. Sometimes I get off center when someone disapproves of me and I, for the moment, try to align to who I think they want me to be. Modern action movies are designed to shake you up and align you to their theme. I can walk out of a movie feeling angry or devastated or simply wiped out. Travel on a plane, with people crowded around and constant noise and vibration, can knock my center off. The 8 sided fluorite crystal is a wonderful helper in centering. It helps me to come into relationship to the planet since the 6 points relate to the 6 directions – east, south, west, north, earth and sky. 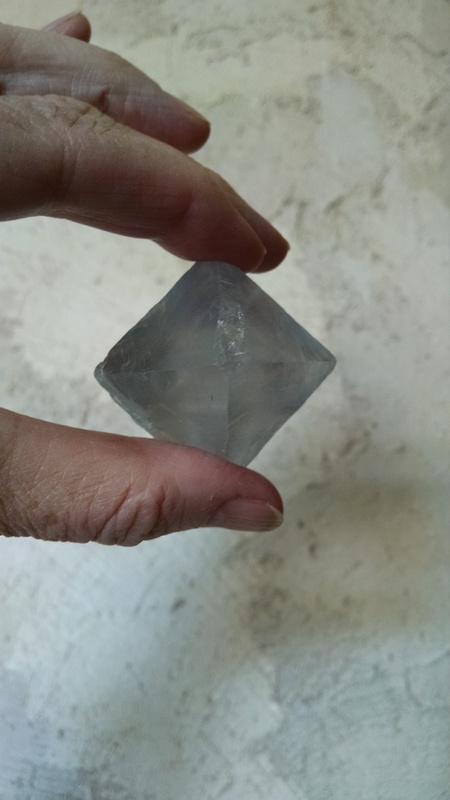 I hold the crystal so that 2 opposite points are between my thumb and finger, with one of the other points towards my center line. Starting with it about a foot over my head, I slowly draw the crystal down, with the point towards me, as though I were using the point to draw a line down the center of my body. 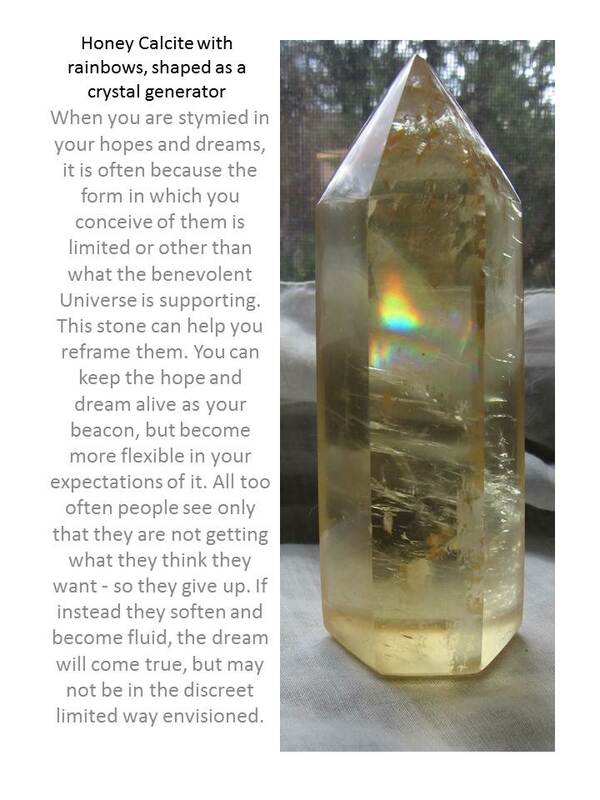 The energy from the fluorite’s point coaxes my energy back into place. There are usually places where the crystal seems to slow down. These are places that need more of the fluorite energy for coming into alignment, so I let it hang out at these places. Then I resume “drawing” the line down my body all the way to my feet. After every use, I cleanse the fluorite by rinsing it in clear running water for about a minute. I like to take a Fluorite Octahedron when I travel. 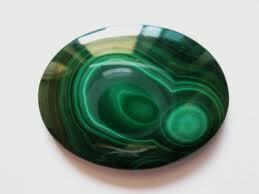 I may not have time for an alignment with my chakra stones, so I can quickly use the fluorite to center myself. Try this! I’d love to hear how it works for you. 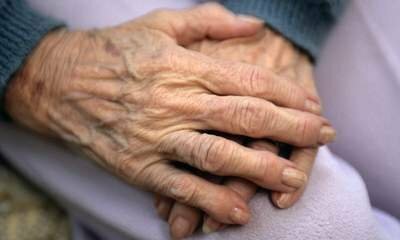 A number of years ago, I worked on the hands of an elderly man who had a condition diagnosed as neuropathy. His hands were swollen and he couldn’t bend his fingers. He said his hands were cold and that nothing warmed them. That they hurt all the time. He had never experienced energy work – didn’t believe in it as anything real. His only experience was with MDs and Rxs and surgery. But he was willing to have me try. I started gently running energy, finding spots that felt disconnected and holding them with light intent until the energy moved between the spots. After about 20 minutes, he reported that his hands felt warm again. The swelling was visible less. He could flex his fingers, without pain. He was delighted and said that nothing else had given him that kind of relief. This continued after I was actively working on him. He was smiling when I left. The next day I call to check on him. “Didn’t work,” he stated. “Didn’t work. Today my hands are still and cold again. Nope. Didn’t work.” Didn’t work??? What’s he talking about? It worked – his hands were much better when I left. One session didn’t eliminate the problem forever, but it showed that energy would work. Then I realized – he was immersed in the AMA model of healing. He only identified something as working if the problem was resolved forever. In working with energy, I’ve come to appreciate the fluidity of life and healing. Sure, sometimes a healer presents a pattern and the body/mind/spirit is so ready that there is an immediate and lasting effect. The first time I had a crystal healing session done on me, a strong sugar addiction I had dropped away immediately. Apparently I was very ready! After one session with me, a young woman reported breakthroughs and insights she said were more helpful than all her years of therapy. Frankly I strongly suspect that it was those years of therapy that created the fertile ground for our session. More usually, I find for myself that healing work is like drawing a pattern in a viscous fluid – draw it once, walk away, and the old habits reassert themselves. Draw it repeatedly and new flows develop. This article was published in E.P.I.C., May-June 2014. The version below includes images not included in the printed version. Ideally all relationships would be based on equality, not on neediness. But most of us aren’t there yet. Is there someone around whom you feel drained? Do you carry the voice of parental put-downs in your head? Are you still tied to a relationship that has ended? Do you keep getting snagged on the same emotional “hooks”? While therapy can help with these, it can also be beneficial to work with them energetically, imagining them as energy cords between you and another that can be resolved. We are all made up of energy. Blocks and leaks and snarls in our energy weaken us and leave us open to dysfunctional behavior and illness. Fortunately we can learn to maintain our own energy. If we need help, there are many practitioners who work with energy in a variety of ways. Resolving cords that bind us to another person is one way we can keep our energy flowing and healthy. You can do it yourself or find someone to assist you. As an example of the technique, let’s look at Joyce, a composite of several people I’ve worked with. There are several stones I’ve found helpful, ones that are easy to obtain. 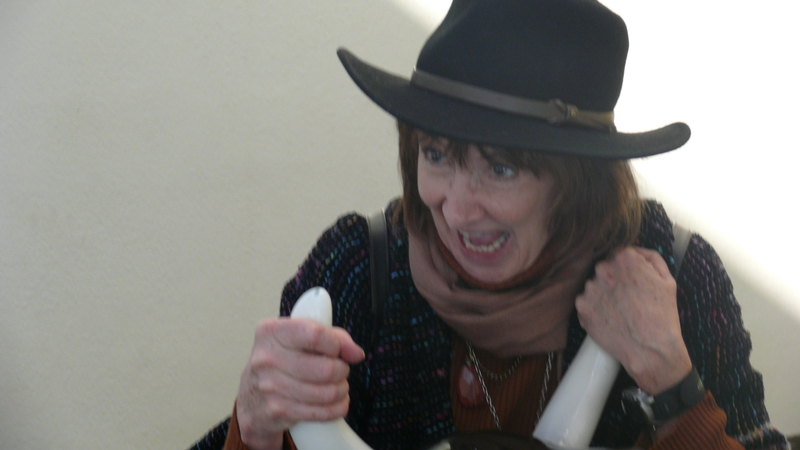 Joyce wanted to be stronger in carrying out her work. She had low energy and was held back by self-doubt. She realized that this came from her mother’s criticism of her when she was a child, but knowing that didn’t make it go away. As a first step in checking for binding cords, she surrounded herself with a protective shield and imagined her mother standing in front of her. To reinforce the protection, I surrounded her with hematite stones. Could she imagine a cord of energy between them? Yes! It was a thick cord from her mother into Joyce’s solar plexus! We’re speaking in terms of visual images, but that may not be your style. Are you more kinesthetic? When you do this for yourself, feel in your body what tightens when you think about the person who drains you or diminishes you. Are you more auditory? Imagine hearing their voice and noticing what in you tightens. 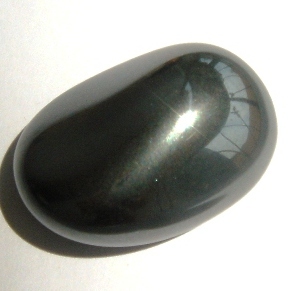 If the person was actively harmful, you may want to first protect yourself – holding hematite, surrounding yourself with light, imagining the person so far away that you just begin to feel your response to them. It doesn’t matter if the person is living or dead, you can still check for cords and resolve them. Imagining this binding cord lets us work with it energetically, without having to get into the story around that relationship. Joyce’s mother may have wanted to feel some degree of power in a loveless situation. Unconsciously she may put Joyce down so she could feel superior. But it’s not necessary to know that. All that’s needed is to imagine the cord and work with it. The binding cords you imagine may vary in what need they represent and in how this need is acted out. They may vary in how you have responded to them and where you feel them attach. What is consistent is that they limit you and drain your energy. Notice that we’re talking about “resolving” and “releasing” cords, not “cutting” them. When the idea of working with cords first surfaced years ago, the answer was to cut them, to imagine severing the cord with a sword or laser crystal wand. Many still suggest this. 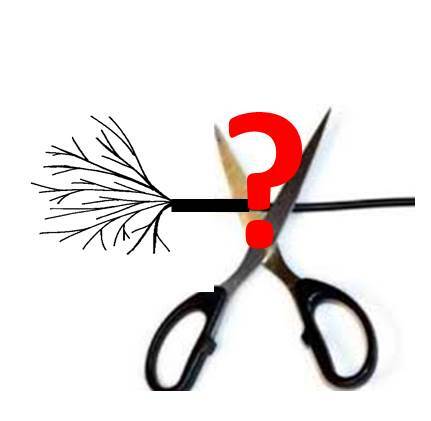 It may give some relief, but my colleagues and I find that often the cord quickly grows back, like a weed. So what works better? With a weed, it is much more effective to remove the roots than to cut the stem. As long as the roots are in place, the weed will come back. This is true of binding energy cords as well. It is best if the person extending the cord can pull all of it back into their own being. If they can, thus meeting or releasing their own needs, everybody gains. Of course, this doesn’t mean walking up to the person in the physical and asking them to stop cording you! They wouldn’t have a clue what you were talking about. 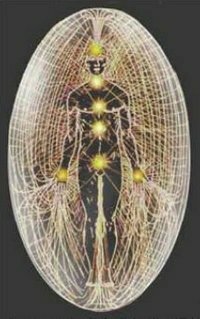 It is much more effective to go into a meditative state and ask their higher self to retract the cord, roots and all. What if they don’t? What then? Bring in help from Spirit! I suggested to Joyce that she ask her guides to help her gently pull out the cord as I placed malachite on her solar plexus to help with the extraction. Slowly and gently, her guides pulled the cord, including the roots, until it was free of Joyce. But the cord needs to be secured in some way so it doesn’t try to reconnect. So we asked the guides to connect the cord to Infinite Source, which can be imagined as a sun or a huge tree. Ah, much better! When you do this for yourself, ask for help from Spirit in whatever way is comfortable for you. Some people relate better to Guardian Angels; some to Higher Self; some to Christ Consciousness. We’re not done yet. There are often two cords – not only the one from Joyce’s mother to her, but also one from Joyce to her mother! Joyce had a need-based connection as well. Perhaps the child needed her mother’s attention and developed ways of eliciting it, even if the attention was criticism. Joyce was asked to look for a cord from her to her mother. She could sense it – a small cord but there it was. 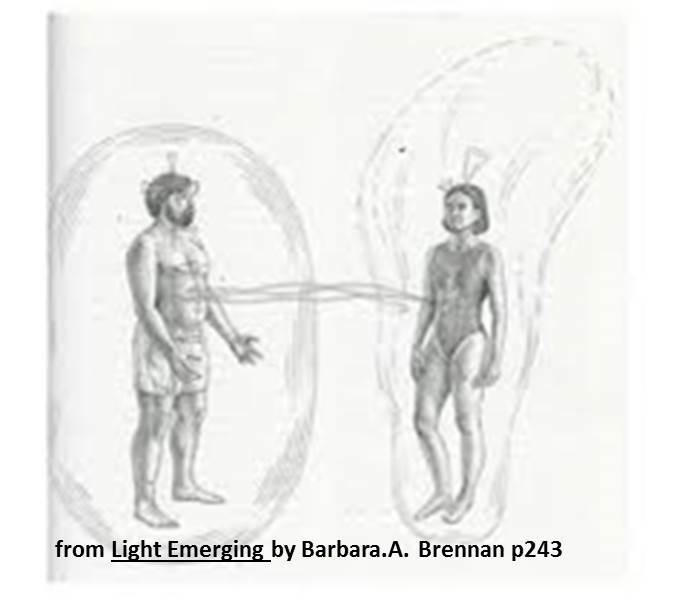 Now that she was free of her mother’s cord, Joyce could draw this smaller cord back from the image of her mother and back into her own energy field. When you do this, it may help to ask yourself “If there was such a cord, if I was looking for energy of some kind from this person, where would it extend from in me?” If you don’t get a response, that’s okay. It may not be something you need to work with now. Joyce is now free of binding cords. There is still the wound where it was, the hole in her energy where her mother’s cord had been. Joyce imagined filling the hole with a soothing salve or light and placing an etheric band-aid on it. 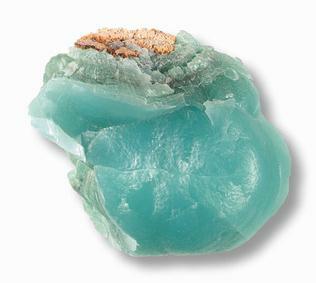 A blue smithsonite or some chrysocolla placed on the area can help seal the aura. When you do this for yourself, you may find it helpful to place your hands over the place you felt the person’s cord attach to you. Let the warmth of your hands fill any wound left. If in the next few days you feel vulnerability there, just gently use the energy from your hands to sooth it. As we become more aware of the subtle yet powerful energies around us, we can address drains on our energy before they debilitate us. Notice if you feel uncomfortable around someone and check for any cords. They may not come from that person themselves, but rather that person may remind you of someone you were negatively attached to in the past. Even if the other person isn’t on this plane anymore, you can use the steps above to check for binding cords and resolve them.